South Africa finally held their nerve to beat Sri Lanka by nine runs in the Super Over in the first KFC T20 international at PPC Newlands in Cape Town on Tuesday after the teams had dramatically tied the main match. 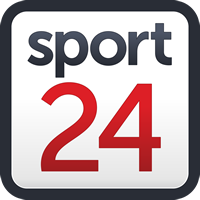 South Africa batted first in the Super Over with man-of-the-match David Miller and Rassie van der Dussen taking strike. Miller faced first with both batsmen taking a single but then Miller launched Lasith Malinga over mid-wicket for six and then a four through wide extra-cover two balls later and then completed the over with a scrambled two runs to end on 14. "I just tried to get two wickets, that's all. But it didn't work out today," said Lasith Malinga, the Sri Lankan captain after the match. In reply, Imran Tahir was given the responsibility of defending 14 runs and only conceded five runs, which included two wides, to send the home fans into rapturous roars. South Africa had required 135 to win the opening T20 match of the three-match series and finished on 134 for eight in reply to Sri Lanka's 134 for seven and it needed a scrambled run between Tahir (1 not out) and Dale Steyn (1 not out) to seal the tie with South Africa needing two runs off the final ball. The Proteas needed five runs to win from the final over but after JP Duminy (9) had taken a single off the first ball, Steyn failed to make contact with the next two. Steyn then managed to grab a single off the fourth ball and with the home side needing three runs from two balls, Duminy played the ball to square-leg and sprinted off for two runs and retain the strike for the final delivery, but the throw from the boundary by Akila Dananjaya had Duminy run out. Tahir then edged the final ball from Isuru Udana (3-0-32-0) through to Niroshan Dickwella behind the stumps, who failed to run out Steyn and the batsmen scrambled through for the single to set up the Super Over. "It was a tough wicket out there. It was a serious collapse but they bowled really well and they used their slower bowlers really well and we just did not adapt well enough," stated Miller. "We were lucky to get into the Super Over," added the left-hander. South Africa struggled in the early part of their chase but got back on par and had their noses in front thanks mainly to Miller and Van der Dussen with the pair putting on 66 runs for the fourth wicket from just 42 balls before a rash shot from Van der Dussen brought an end to the brisk partnership. Miller played excellently, scoring 41 runs from just 23 deliveries, including five fours and a six while Van der Dussen struck one four and a six in his 30-ball innings of 34. "It's been an interesting summer and I am feeling confident and good but in the one dayers I did not get the opportunity that I wanted because the guys in the top order did exceptionally well," said Miller. The Proteas made the chase a bit more difficult than it should have been, especially with Van der Dussen and Miller losing their wickets within two balls of each other to get the fans on the edge of their seats. Andile Phehlukwayo (4) then was caught on the boundary by Isuru Udana off Dhananjaya de Silva (4-0-28-1) going for a big six before Lasith Malinga clean bowled Kagiso Rabada for a duck. The chase began with Quinton de Kock (13) and Reeza Hendricks (8) posting an opening stand of 21 from 22 balls before Hendricks was needlessly run out, going for a third run. De Kock was next to go, trying his luck once too often with the reverse-sweep and top-edging Akila Dananjaya (4-0-28-1) to Dickwella behind the stumps. Faf du Plessis struck one six and two fours before falling to Jeffrey Vandersay (4-0-25-1) for 21 from 23 balls but then Miller and Van der Dussen got together to steady the ship and guide it towards its final destination. But Sri Lanka never gave up the fight. "We realised we were going to introduce spinners early, and everyone is trying hard. We can't blame anyone, it is pressure on all the players, and this will help them learn a lot," said Malinga. Earlier, with Sri Lanka being asked to bat first, Phehlukwayo lead the way with ball, claiming 3-25 in four overs as the visitors posted a below-par total of 134 for seven. Phehlukwayo was brilliantly supported by Lutho Sipamla with the young fast bowler claiming 1-19 in four overs while Tahir (1-21) and Steyn (1-25) proved economical as well. The surprise of the innings was Miller taking the gloves despite De Kock being in the team, with a view to Miller being the back-up wicketkeeper for the ICC World Cup. Miller had a relatively good game with the gloves, claiming his first catch when Steyn had Dickwella (0) edging to Miller behind the stumps. "I have prepped pretty well so I was not shocked that I caught the ball, just more excitement and emotion. It is a new challenge that I have been asked to do that I am not going to turn down and it is quite a relief," said Miller. Miller then effected a good stumping off the bowling of Tahir with Avishka Kamindu charging down the track and missing a ball that turned quite a bit. Miller did well to collect and whip the bails off to leave the batsman stranded. Only Mendis provided any substance to the Lankan innings, top-scoring with 41 from 29 balls with three fours and two sixes. Avishka Fernando (16), Angelo Perera (16), Thisara Perera (19) and Dhananjaya de Silva (14) all made starts but failed to support Kamindu while Udana (12 not out) and Akila Dananjaya (8 not out) had some lusty blows at the back end to lift the visitors total to something they could bowl at. Kagiso Rabada had an off-night with the ball, conceding three sixes as well as bowling four wides before ending with 1-42 from his four overs. The teams now move up country to Centurion for the second T20 on Friday before completing the tour on Sunday at the Bullring in Johannesburg.